Are you adding partner to 457 visa? When can your partner be included in the Subclass 457 visa? Add your partner after your application has been lodged but not yet decided. It’s always the best idea to include your partner as a dependant in your original 457 visa application even if he or she will not come with you to Australia straight away after a visa grant. Nonetheless if for some reasons they have not been included in visa application there are the ways to get them on your 457 visa afterward. Keep in mind an employer must agree to sponsor them for a 457 visa as well. There is no point of applying for a 457 visa for your partner if you will not be able to get a written agreement from your employer. FORM 1436 might be used to include a partner to the application after it has been lodged, but not decided yet. 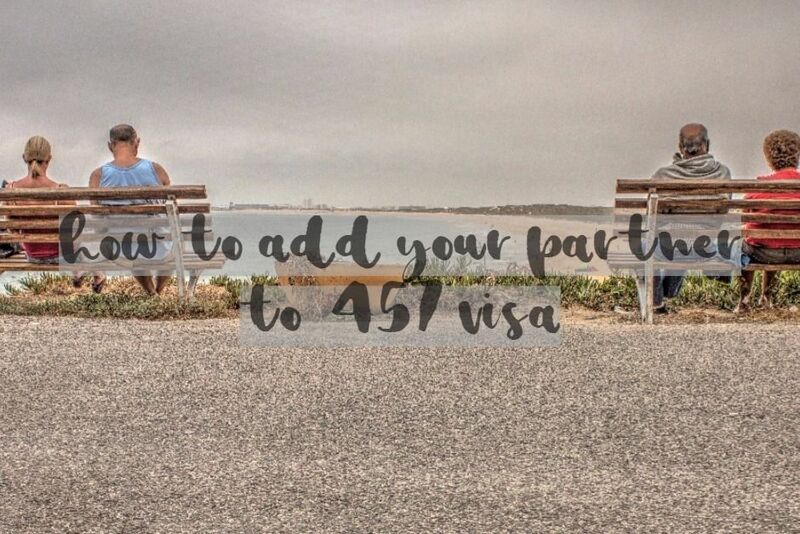 if your 457 visa has already been granted you’ll have to make a separate 457 visa application to get your partner attached to your visa as a dependant. There is a specific process you’ll have to follow to get a visa for your partner granted – you’ll have to apply for “subsequent entrant 457 visa application”. It gives a possibility for a visa grant for family members which were not included in initial visa application and also serves as a pathway for partners of 457 visa holders who came into a relationship with you after your 457 visa was granted. If you are married to your partner and have lived in a spousal relationship for some time, marriage certificate shall be satisfactory. If you are living in a de-facto relationship you’ll have to provide with evidence you’ve been living together for at least half a year for your relationship to be considered by a Department of Immigration. Your evidence may include joint utility bills, joint financial documents, correspondences going to the same address, declarations from family and friends and any joint assets or liabilities. Essentially you’ll have to provide with some documents such as those for a partner visa. Whatever applies to a partner visa would apply over here as well. Your partner might be requested by a case officer to provide with police clearance and undergo medicals. Remember also to include your spouse in your health insurance. You still remember I’ve mentioned at the beginning of this article about your 457 visa sponsor written consent, right? If you have any further questions please do not hesitate to leave a comment or call our office to discuss how we can help adding your spouse to your 457 visa application. How you can add your spouse to 457 visa application. Hello my husband visa granted on 23rd of October and he apply for my secondary visa on 5th of July but i am still waiting. Do you know how long will it take? Hi. I am a dependent of my partner that holds a 457 Visa. we are on a defacto visa. We’re having some problems in our relationship and he’s deciding to drop me off if we could’nt fix our relationship. I work in a meatworks company. My question is, can i apply for my own Visa when he decided to drop me off? I love to stay here in Australia and work. Can you help me pls. Yes, you can. Type of the visa would depend on your situation. Where should I inquire about it? Can my company process me a new 457 visa? Yes – your company may assist with getting a new visa for you. Give us a call to discuss. But Im not a skilled worker. I can’t find any answers to my questions so far so I will give it a shot here. My partner has been granted a 457 visa for his job and I moved to Australia with him as his dependent. Our visa is valid for 4 years but one of the conditions of this visa is that he needs to have a contract with the institute that is sponsoring him. He initially got a one year contract on that is about to expire on the first of March this year. He is in the middle of renewing this contract but it probably won’t be done before the first of March (or if it doesn’t get extended at all) what does it mean for my job? Do I have to stop working as long as his contract is not extended? Or do I have a certain time frame in which I can continue my job? Is the visa somehow still temporarily valid after his contract expires? You can work as long as the visa is valid. An employer has got an obligation to inform the departments about a cessation of work. Regarding for the abolition of 457. What will happen for the visa lodge before March 2018? Its gonna be processed under 457 visa provisions. Is it possible to put your partner on an 457 visa application if the partner already has a 457 visa? In this case I’m a partner on a 457 visa, I’m applying for one for my new job, she might lose her job, so I want her to be my partner on the new visa. Are there any limitations regarding where dependents can live on a 457? For example, I work in Adelaide and my partner (my dependent) is likely to find a job in Sydney. Is he able to move and start his job there now with the plan that I move over to Sydney when my contract is completed in Adelaide? (I would obviously continue to satisfy all other conditions of the visa). Many thanks. Can’t see any issues with that. Hi… What is the processing time for 457 Dependent Visa? From our recent experience could be around 2-3 months. Regarding the abolition of 457. What will happen if the Secondary Applicant needs to lodge visa after March 2018? Good question – I’d assume they’ll keep this option to apply for secondary 457 visa application. Could you please Is there a clear answer for this question yet? if the Secondary Applicant needs to lodge visa after March 2018? And what’s “subsequent entrant 457 visa application”, is there a form for it? yes, there is a form for it. As per 457 subclass dependent entrant. My husband apply my n my daughter visa in 19th october and the biometric was done in 10th november. But till now i can only see received in immi acount?? How long does the processing tym would take? Did anyone recently received dependent intrant visa for 457?? Please do reply?? When we will b recevinh visa?? CAn take few months – not much you can do to speed up the process unless there are compassionate and compelling circumstances. Is newly married is good enough on compassionate grounds?? If yes then how can we go about letting the officials know? being newly married is not good enough for compassionate grounds. Hi, I applied at the end of September 2017 and still waiting. Processing time is now up to 11 months. Hi I’m on 457 visa and out of 4 years I have one year left. I want to bring my wife to Australia as a dependent visa . Is it possible for her to get a visa and how long this process takes ? Your employer must agree to add her to your 457. Apart from that, there shouldn’t be any issues if she’s healthy with no criminal convictions. Let us know if you need assistance with a visa application. It can take up to 3 months from our recent experience. I’m Mexican and my fiancee is American. She’s the primary on the 457 and I’m her de-facto dependent. Do you know if I need biometrics since I’m Mexican? She didn’t need to submit them but, I’ve seen conflicting information online. Mexico is one of these countries where biometrics might be requested. Question: Is there a cash reward for reporting over stayers and over stayers working cash in hand? Yes im serious about the question whats so wrong about it? I ask cos i went to a job interview and did a trail for 2 hours and while i was there i found out over 50 people are over stayers and being paid cash in hand. They thought i was one til i said “no I’m a proud Australian citizen” after that they all keeep there distance and even the boss of the company didnt want me around. I haven’t heard about a department paying for dob in’s, so the answer would be – no. Question: What kind of evidence do you need to provide to show you have been living with your defacto for at least half a year for your relationship to be considered by a Department of Immigration? Check an article about partner visa we’ve posted on this website. The same evidence might be considered, or book a consultation if you’d like to discuss. We have applied for 457 visa on oct17th and submitted all required docs but still status is as Received . Please let me know whether we can apply for a visit visa now and get into Australia and later once we got 457 whether it will be upgraded automatically or we should come out of Australia and travel with 457. You may apply for a visitor visa, but given you’re waiting for the outcome of your 457 application, chances of getting a visitor visa approved are slim. I am on 457 visa and my partner will be coming in under de facto visa. If he would be able to find a job here and we apply for permanent resident visa can we combine our points? Or only the main holder of 457 visa will be counted? You can get additional 5 points for 189/190/489 for partner’s skills. Me and my partner have been together now for almosts 2 years. My partner is on a 457 visa and i am planing och going on his visa. I am here on a student visa at the moment. So my question to you is how the application process for med adding on to his visa work. Also we are wondering how much these add applicants visa normally cost? Subsequent 457 visa application needs to be lodged. You’ll pay a full fee ($1080 at the moment). Can take few months for a grant. The employer must agree to add you to 457. Does the 457 dependent application has a separate queue for processing at the moment or is it in the same queue as primary 457 application? My husband is working in Melbourne on 457 visa since Nov 2016.His company is accredited sponsor and his 457 visa was processed in 3 days in October 2016. Now if I apply for dependent 457 visa application for me and my son,can we get a priority processing for accredited sponsor(as sponsor is same)?..Or the benefits is applicable only for primary 457 applicant? I’d say yes, but at the end of the day, it would be up to a case officer as it is not clearly stated in the regulations. My partner is already a 457 visa holder, working as a nurse on northern territory and she would like to add me in her visa, we’re newly married last March 4 2018. How should we do it?do u have a step by step on how could we start process my visa?or any advice for.us? “Subsequent entrant” 457 visa application needs to be lodged, the full fee will have to be paid to the department. We can take care of our case. Book a consultation so we’ll discuss the way forward and all the steps. I have a relationship with a 457 visa holder for 1,5 years now. We are doing a long distance relationship but have been visiting each other’s countries often. We just want to know is there any possibility for adding me as a dependent so I can stay with him here? I’ve read about your post on partner/de facto requirements here but do you think our evidence would be enough? With his employer also agree to put me in? If you are visiting each other frequently, I believe there is quite a good chance of getting your visa sorted. Please book a consultation so we’ll discuss. My husband is currently holding 457 visa and his employer has agreed to extend the visa to us (his wife and 2 children). How long will is the processing time for 457 dependents? Thank you. I am currently on 457 and have been working in Sydney for almost an year now. I applied for 457 dependent visas for my wife and child in November. It has already been 4+ months since the application lodgement. 1. If I apply for tourist visa for them, will it impact their 457 application which is in process? 2. If they travel to Australia on tourist visa and get their 457 at a later date, will their visa status be changed automatically (to 457) without a need to go out of the Aus? You apply for subsequent 482 instead. Hello, i am on 457 visa granted september 2017. I want to get my wife and child an additional visa, how much would that cost me? Please give us a call to assess your case. Yes, I could – what’s the question? Just wondering how long does it take for depended application..? For a dependent application – in extreme circumstances up to a year from what I’ve heard. The one’s lodged by our agency got granted quicker than that. I am a primary 457 visa holder which I was granted in April 2016 in 2 working days with my employer. I recently got married and I have submitted all documents and applied for my a dependent 457 visa for my wife in February 2018. Also, during February 2018, my employer applied for a 186 visa for both me and my wife. Now, I am currently waiting for my wife’s dependent 457 visa to get approved. Do you know what is the processing time for this visa? Also, can my wife apply for a tourist visa in the mean time so that she can join me here in Australia? Processing time for a 457 subsequent entrant is from few weeks to even a year (from what I have heard from some). You may apply for a visitor visa for her, but given she’s waiting for a decision on a 457 dependant visa it is very unlikely visitor visa would be granted. Hi i applied for my wife 457 subsequent visa in april 2017. Medical has been done all the relevant documents were submitted but we still have not heard anything from immigration department. We have contacted department 2 months ago, no useful information was give to us by department. Is these any thng we can do? Please help. Waiting for a decision for 457 visa subsequent entrant for over a year is quite long. I’d have a to have a look at your application if it is complete. If so we may need to follow up with a department. Please book a consultation to discuss your case. Hello, I a dependent on my boyfriend’s 457 visa. 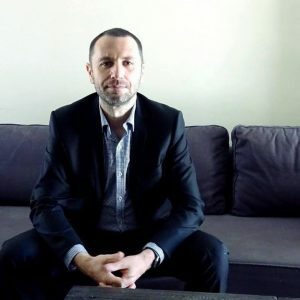 I have been awarded with a scholarship as international student for a PhD in Sydney, am I allowed to enroll with the 457 visa or do I need to apply for a student visa? I have tried to ask the university, but they weren’t sure. Check your visa conditions. If there is no limitation about the study, you should be good to go. My Employer have applied for a subsequent 457 dependent visa for my wife in feb 2018, Still the status is received. As from the processing time. It may take much longer. She holds a valid Tourist visa which was granted to her before applying for dependent VISA ( Valid till NOV’18). My question is can she travel on a tourist visa while dependent VISA in in process ? And can DIBP grant dependent VISA while she is Australia on a tourist VISA ?? If her visitor visa is still valid, she might be able to visit you in Australia. For a dependant visa – a case officer will very likely wait until she’ll leave the country or will ask her to. My lawyer has lodged on my subsequent visa 457 adding to my Spouse in Australia since beginning december 2018 and suplement police check from other countries I had passed to completed 457 visa application on 24 January 2018 but I still have no information about visa. Lawyer could not do nothing for me to contact immigration she just telling me wait, no other choice. How long I expect to get visa? Can you follow up this case to immigration to help me ger results of visa application? It can take up to 9 months I’d say at the moment. We do not work on the cases of the other agents unless we’d be appointed as a sole agent and the whole file would be transferred to us. Please let us know if you’d like to resign from the services of your current agent / lawyer and transfer the case. They can stay in Australia or overseas. As a primary visa holder, you might be allowed to stay overseas for more than a month. Is it normal for this long to be granted? Is there I can do to make process quicker? Department has a lot of applications in their cue, therefore some delays are observed recently. Choosing the right agency in the first place could do the process more effective – now there’s not much we could do to assist. No way of knowing how much longer it may take without checking if your relationship is being considered genuine by a department. In my case, my partern is under 457 while I am under 485 now, he said he would like to sponsor me if I cannot get my PR in 2 years. However, he used to sponsor another girl by marrying her one year ago but they ended up getting divorced in January 2018, and he withdrew his sponsorship for her so the girl did not get the PR at the end. 2 spouses and 5 years you are referring to is for partner visas. If we are talking about dependency for a temporary visa (such as 457 or 485) these factors are not being taken into consideration. Hi, I submitted my 457 visa application in February 2018 just before the visa was abolished in March 2018. At the time of submitting my application I asked my agent should I add my partner to my application to which they replied, “it doesn’t matter when you add your partner” so I didn’t add her at that time. Recently however,I contacted my agent to add my partner to my 457 application but now they are saying that because the 457 is now abolished that I will not be able to add my partner until I get my 457 visa granted. Can you please advise? You can add a partner to a pending 457 application. Let us know if you need assistance. I have applied for 457 visa on March 8 2018. I got married in April. I’m waiting for the response of sponsorship letter which my employer has send to the immigration for him to be added to my visa. Could you please tell me whether my husband will also get the visa at the same time when I get my 457 visa. How long is the processing time for 457 visa now. 1. If your partner has beed added to pending application – both visas will get decided the same time. 2. If a new application has been lodged for your partner (should not) – not necessarily the same time. Processing time for 457 depends if the application is complete, your relationship will be assessed as genuine, your occupation is not being flagged by a department, your employer is a respected company, and some other factors – can take up to a year. Let us know if you need a review of your application. I am currently on 457 and have been working in Sydney from last 2 months. My wife is also holding dependant 457 visa. I applied for 457 dependent visas for 6 month old child in this month. 1. Any idea how much time it take in case of Child? Is processing faster in case of child since my wife is holding 457 dependant visa? 2. If I apply for tourist visa for her, will it impact their 457 application which is in process? 2. If she travel to Australia on tourist visa and get their 457 at a later date, will their visa status be changed automatically (to 457) without a need to go out of the Aus? Department has quite a backlog of 457 applications at the moment. 457 dependants applications are not being prioritized as I am aware. You should have considered applying for a visitor visa for a child and then for 457 once in Australia. Should you wish to discuss further, please book a consultation. Applying for tourist visa will not impact your 457 visa processing and for 457 it is not required to exit Australia. Once granted it will automatically transferred and tourist visa will be void. And moreover, currently processing time for 457 dependent is 10-14 months as shared by the department. @Rahul what if a 457 will not be granted within a validity of a visitor visa while kid in Australia? Than your kid needs to exit Australia else it will violate the visa rules . He/she can re-enter Australia on visitor visa or wait outside until 457 is granted. He/she cannot stay in Australia on the terms that 457 is in process. If somebody likes to pay for flights back and forth – could be an option. Assuming a visitor visa will be granted at all. I’m currently on a 457 visa sponsored by a big company. I’m recently married to a man on a bridging visa B who’s been rejected a number of times for his visa so is now a section 48. We want to apply for him to become a dependent on my 457 (my company has already agreed to sponsor), and want to know if he can lodge the application overseas and come back while awaiting the decision, or if he needs to stay overseas the entire time the application is being considered? If he can come back after lodgement, how is this time period determined? I’m unable to comment without knowing all the details of the situation. Can I please have the draft of “Assurance of support” for 457 dependant. Will really appreciate it. Only if you’ll become our client. Hi, my husband holds a TSS (he is the primary visa holder and I am secondary). I start my job this week. He started his job about six weeks ago, but is very unhappy. If he quits or is fired, can I continue to work as a secondary visa holder? Thank you. You may be eligible to work as long as your visa is valid. Let us know if your husband will find another employer and will be willing to transfer his visa. my husband holding 457 visa and we have applied 1436 visa its one month still no response .can u tell me how many time it will take place . employer has approved and we have provided all the documents . I know some people who are waiting for 9 months already in a similar scenario.